Drawn & Quarterly will be publishing Red Kimono by Oji Suzuki on March 16, 2010! This is exciting news for gekiga fans and fits in well with their editorial direction of late; Suzuki was an original broham of the alternative manga scene, and part of the GARO 1-2-3 trio of cartoonists, alongside Shinichi Abe and Masuzou Furukawa (founder of Mandarake, according to the very knowledgeable Bill Randall. 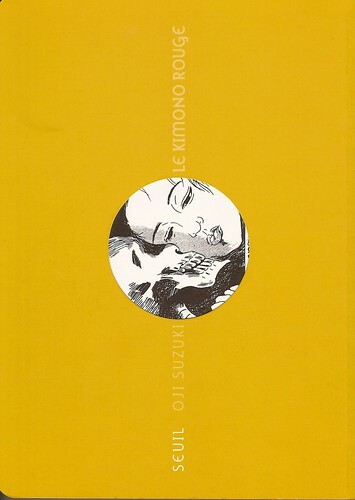 Red Kimono was originally published in collected form in 1985 by Seirindo. Page # and ISBN for the English edition of Red Kimono are available on the Amazon listing. Oji Suzuki was also noted as a contemporary of Yoshiharu Tsuge, and publishing works often in Garo in the 70s and 80s. Interestingly enough, three Suzuki manga have been published in France already by Le Seuil, details on "Le Kimono Rouge," "Vaste le ciel," and "Bleu Transparent" are here. 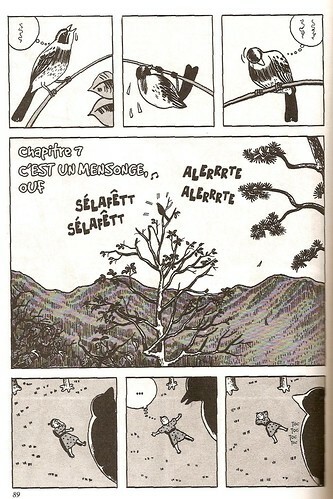 A little more information on Oji Suzuki can be found in the Portuguese blog, Ler BD. [English translation via Google here]. Sweet! I can't wait to put it next to my Tatsumi books. 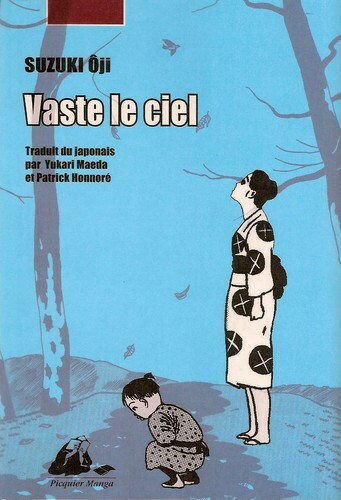 "Vas le ciel" is the third one published in France. @Holt: Definitely, will be a great addition to the shelf of moody 60s/70s/80s manga. @Elchinodepelocrespo: Good point, will update the post accordingly! I'd kill to have a translated version of that particular Garo issue ;_; Amazing. Even better that Kuroda Iou. Thanks for the review. I just bought it on the strength or your description. One thing, I'd like to say - is that D&Q and many manga publishers today makes these things into posh or slightly OTT hardbacks. I wish they would respect the idea of the originals a bit more. These understated manga masterpieces are made for reading, not for turning into huge hard-back art book statements.